We are changing the way commercial offices, hospitals, and schools design and purchase FF&E. With the heart of a teacher, we show companies how to create affordable spaces without giving up quality, design, or flexibility. This position will help us create that roadmap. Think of yourself as the “Chip and Joanna” of the commercial world. The “Fixer Upper” of the commercial space. We make the process fun for our clients and you will play a major role in that. We have a team of 4 Visionary Salespeople who work with the A&D, Dealer, and End User community. We have products that enable us to create a great space within any budget. We are growing. With this growth, we need a great AutoCad Designer. The position is flexible, working from your home or our office to support the 4 salespeople with space planning, quotes, renderings, and FF&E. We will provide laptop and software plus a full week of training with our primary manufacturer. Competitive salary plus bonus, lots of flexibility and a chance to join a crusade in changing spaces and places. We are planning to grow with your help. We are going to have fun and change the manufacturer rep group model out here in the Southwest. We have a 3,000 sq ft showroom, excuse me, a “Visionary Center” to help our clients see what is possible. As our designer, you would be part of creating client Visions. It will have that start-up feel but with a team of professionals and a great book of business. As our Designer, you are responsible for basic drawings, renderings, and space plans. Combine creativity and technical knowledge with business skills and understanding to produce functionally beautiful spaces for clients. With you as part of the design team, interiors have never been so engaging. • Perform AutoCAD and 20/20 drawings. • Work with client’s, manufacturers, furniture dealers, and the A&D community. • Prepare 2D and 3D presentation/design drawings. • Build models for client/project team review. • Possess basic hand and computer-aided design drafting skills. • Possess space planning skills and an interest in programming and strategy. • Proven ability to prioritize in order to meet deadlines and provide high quality service to clients. • Meet deadlines consistently, communicate effectively, both verbally and in writing and work in team environment. o MS Office, including Word, Excel and Outlook. o 3D Modeling software such as Visual Impressions. o Photoshop, Illustrator, and Sketchup graphic software helpful. 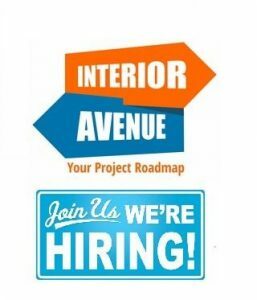 • Collaborate on commercial interiors projects, including programming client needs, conceptual and schematic design, design development, and management of budgets and schedules. • Develop space planning concepts and generate program documents. • Participate in selection of furniture systems and specifications. • Work with customers and furniture dealers to meet overall project objectives. • Assist in managing client expectations, team communication and consultant coordination.